When a future bride asks you with a great smile when will the photos be on the blog so that the whole family can enjoy them, how can I resist :)? My mission of the day was therefore to make enjoy both families and the future bride and groom with this engagement session photos. I love spending this time with a couple because each side of the couple fastly exhibits his/her personality and we see appearing the couple dynamics. 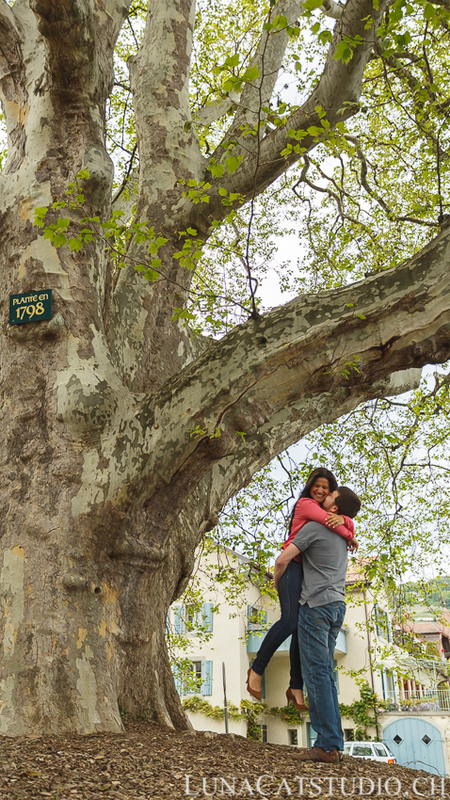 Here, the joyful colombian Brenda knew how to make the calm swiss Frédéric fall in love. A small word in Spanish for Brenda’s family and here we go with the photos. 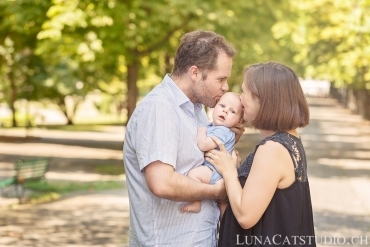 ¡A la familia de Brenda,quiero deciros que me ha encantado fotografiar esta maravillosa pareja y deseo que estas fotos os gustan tambien :). 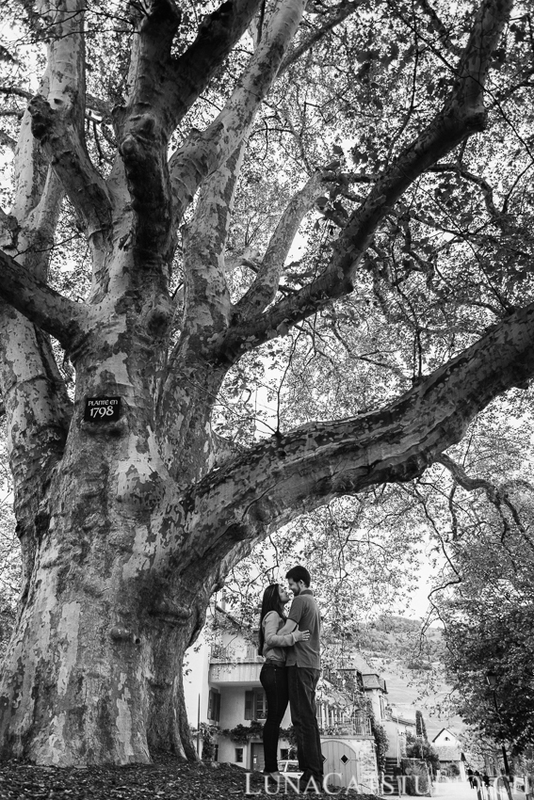 Proxima vez sera las fotos de la boda en junio! 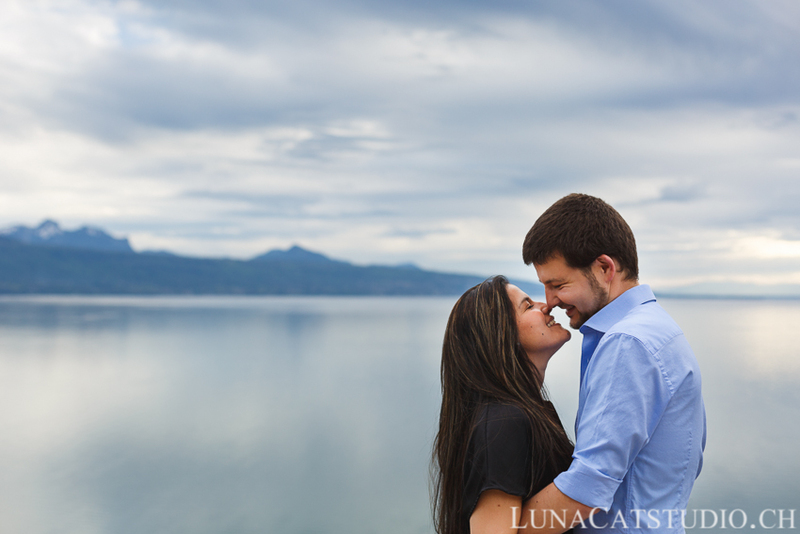 As I explained it fastly in this engagement session sneak peek, our future couple decided to spend this engagement session on the Geneva lake shore and in the Lavaux. 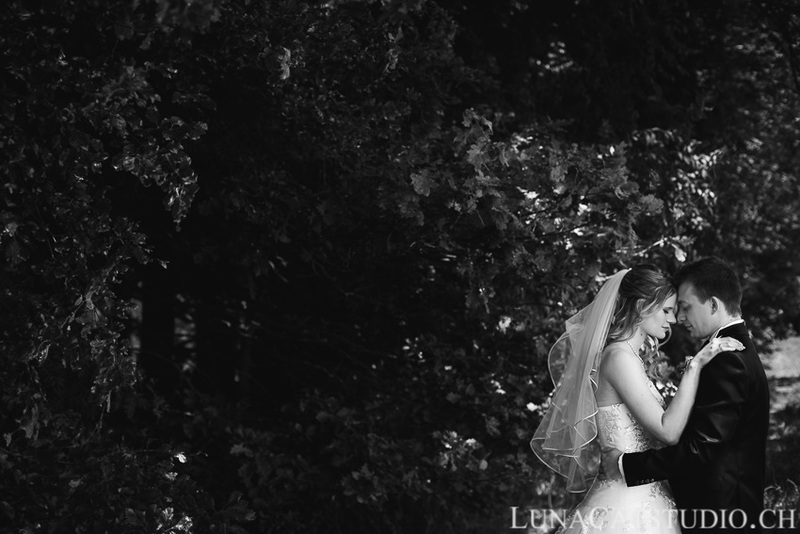 We therefore launched the engagement session in the peaceful and beautiful village of Cully. 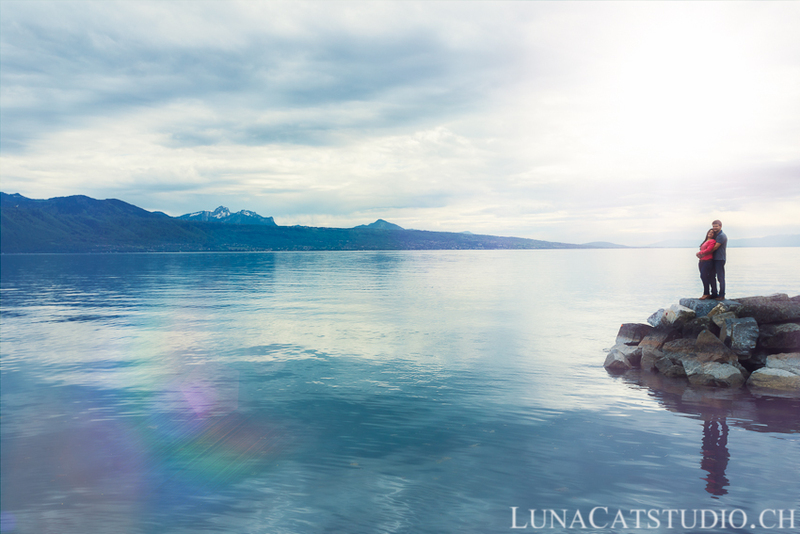 We could not not make some pictures next to the beautiful Geneva lake! Some old pétanque players were watching how this wonderful couple was behaving naturally in front of the camera, they thought they were professional models! 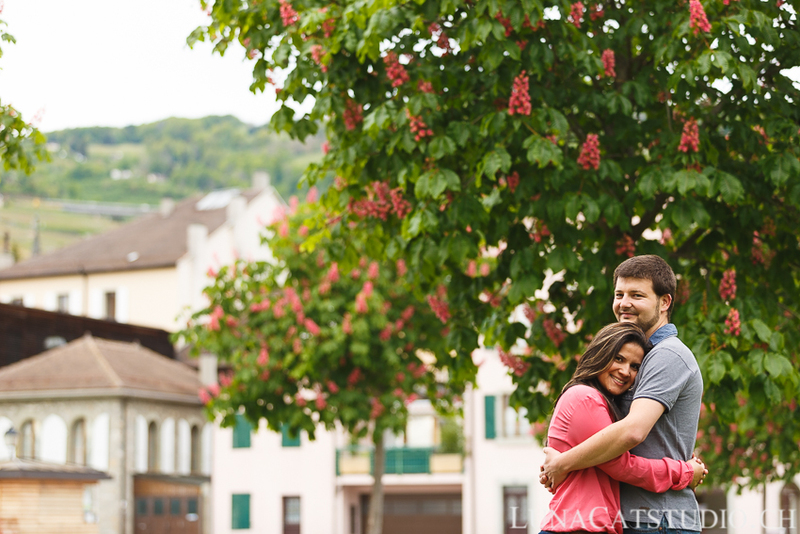 Second step of this engagement session, the Lavaux vinery. 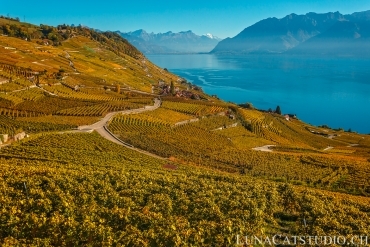 French-speaking Switzerland offers a wonderful environment for photography with this georgeous scenery of Lavaux and that, even though vines were still small at this time of the year. The weather tried playing with us. We saw the rain passing by far away but in the end, we were still able to finish the engagement session without any problem before the storm got switched on during the way back home! For Brenda and Frédéric’s wedding, I have the big task of making Brenda’s colombian family to live this wonderful day through my wedding photography since they will not be able to come to Switzerland. I will have the pleasure to document this wedding in June. 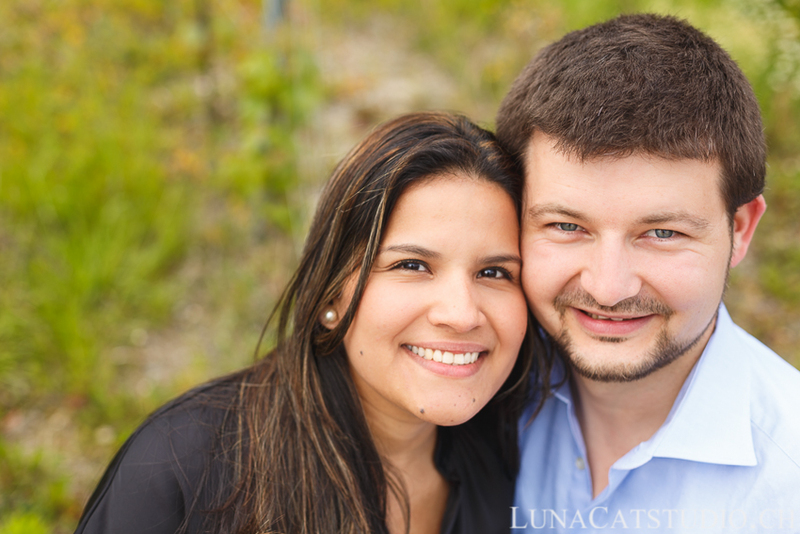 Go back on LunaCat Studio to see more of our engagement sessions or follow us on Facebook, Google+, Twitter and Pinterest. 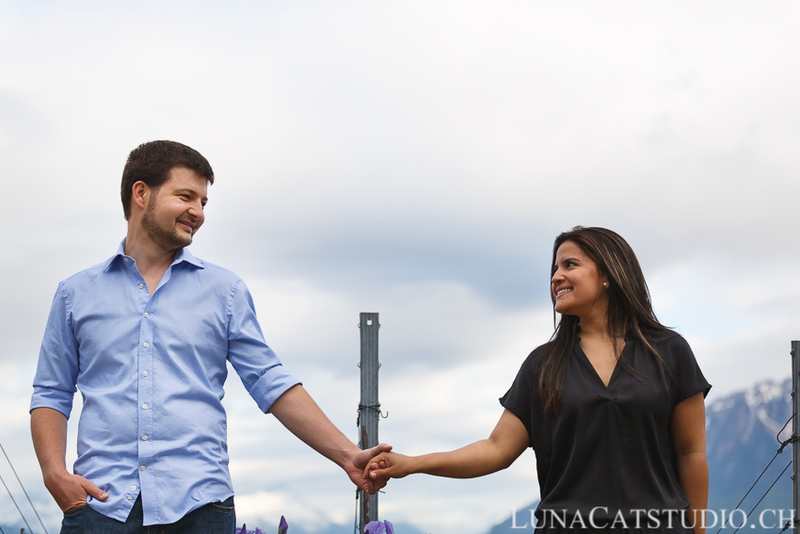 Wedding photographer LunaCat Studio offers future bride and groom engagement sessions in Switzerland in the cities of Lausanne, Geneva, Montreux, Vevey, Martigny before their wedding. 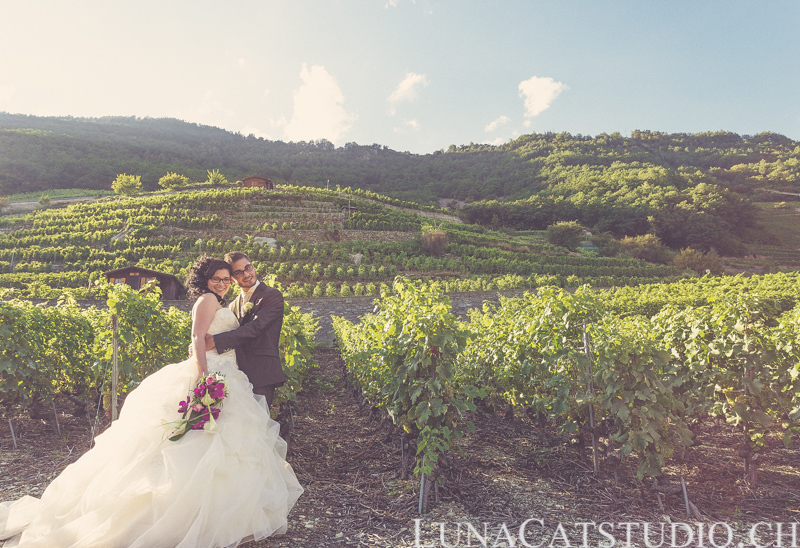 Based in Lausanne in Vaud, LunaCat Studio offers you as a creative wedding photographer special care to your wonderful wedding day. 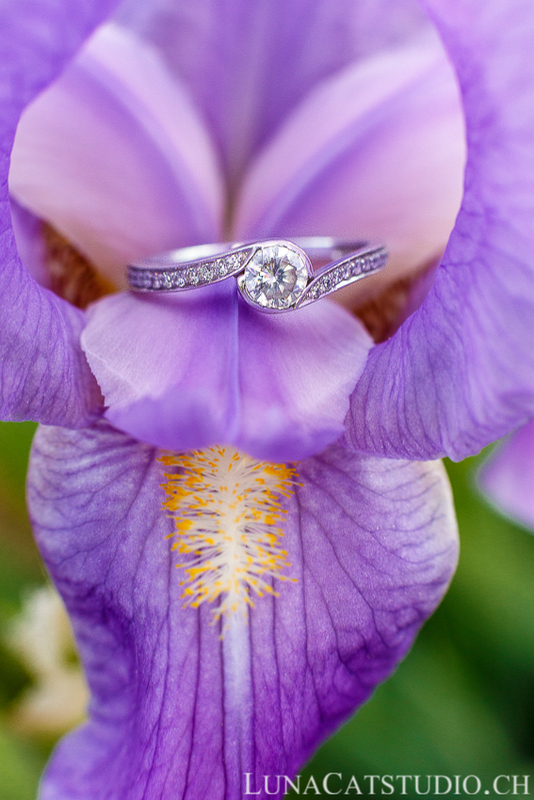 The engagement session is the privileged moment to better know your wedding photographer and his way of working to bring you the best wedding photography. 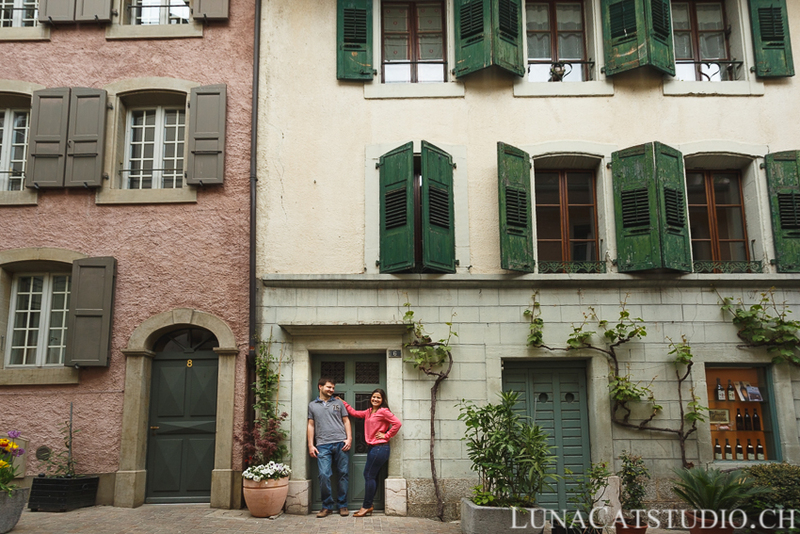 LunaCat Studio proposes her photography during a high-end engagement session in Switzerland in Lausanne, but also in Genève, Lavaux, Cully, and the rest of Switzerland or others countries such as France. 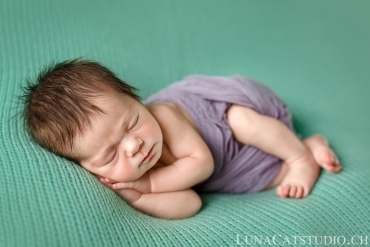 Contact LunaCat Studio for more informations on your engagement session. 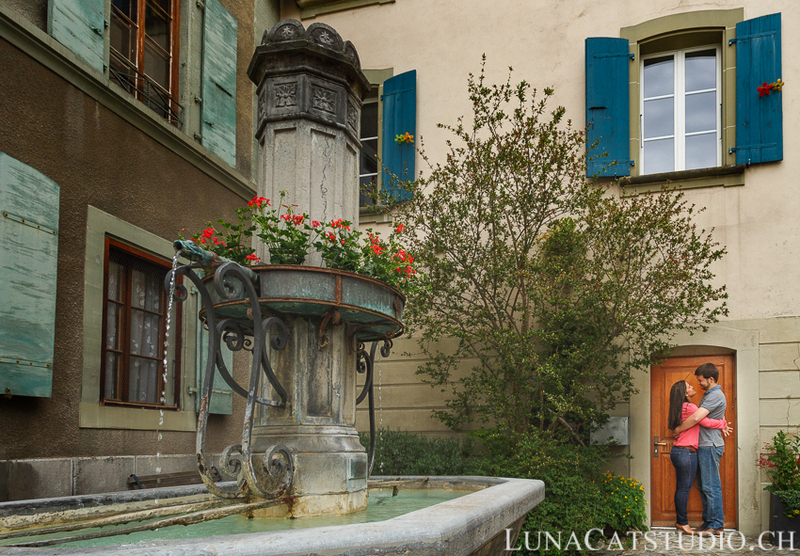 LunaCat Studio is located in Lausanne, Switzerland and will happily discuss with you of your engagement session location. These are beautiful! I love the locations! 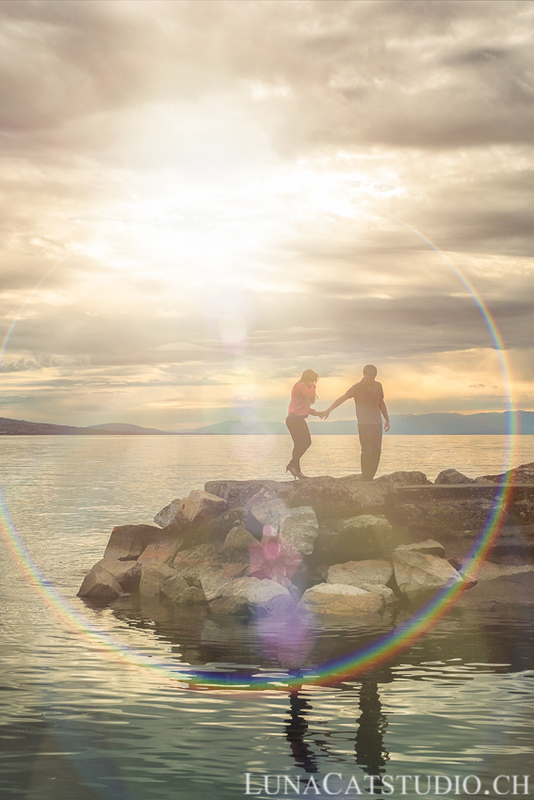 Thank you so much for your comment Brittany, it is indeed a lovely location for engagement sessions. these are beautiful! Great engagement session! Love the locations too and the flare in that one photo is amazing! 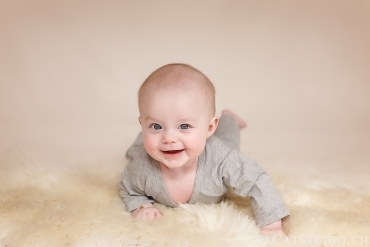 Thank you so much for your comment Beth Ann. Indeed, this location is lovely for engagement sessions!